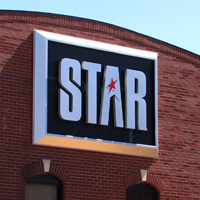 Star Signs, LLC provides custom fabrication and installation of commercial signs and large architectural signage and graphics products. We provide complete project management to ensure the success of each project. In design and fabrication, we balance issues of design, technology, quality and cost to ensure we fulfill the expectations and vision of our customer.